- LAKEROM company products are all sent from the Amazon warehouse,safe and fast,and supports Free Exchange and Refund! 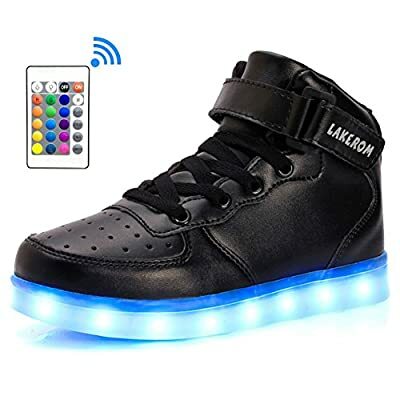 - When received the shoe and found the shoes light is not lit, please charge your shoes battery,when charging,slowly pull the plug and note the front and back of the connector. 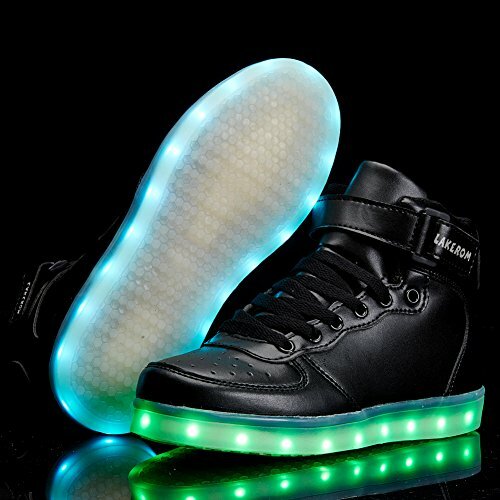 - Each pair of our LED light up shoes has been subject to strict quality inspection,but can not ensure the damage intransit,If you receive a defective product,we promise free replacement to your LED light up shoes,Thanks in advance!